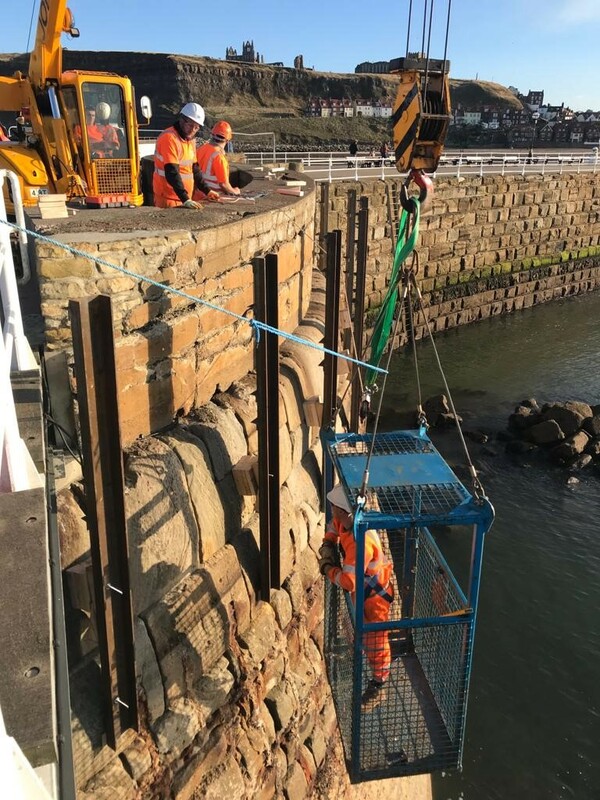 TMS have been tasked to demolish a section of parapet wall on the historic pier at Whitby by firstly installing a temporary barrier to stop any demolition to fall into the sea. 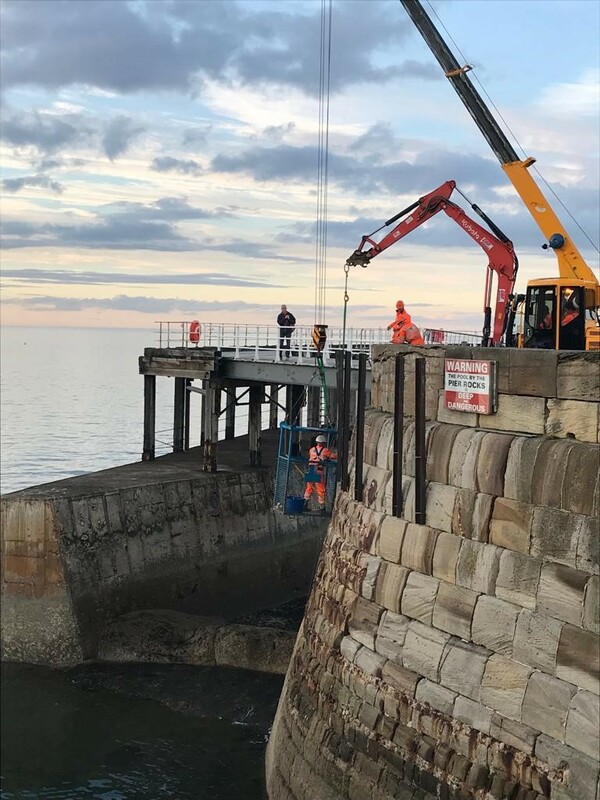 TMS also had to remove an old historic gas pipe which ran along the full length of the pier that used to supply the light house. 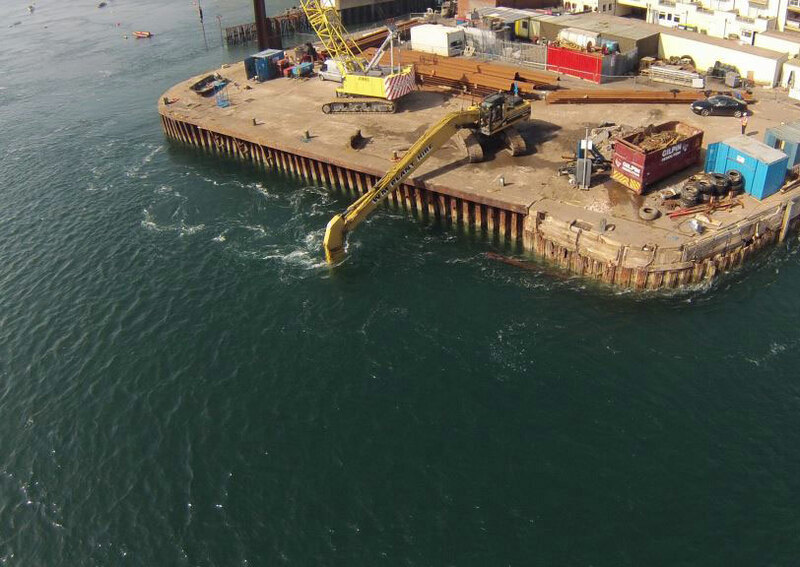 Once removed TMS will be repairing the whole section with a specialised mortar. There are also ongoing repairers to the stone work as well as repointing.